"In this kinetic 11th collection, Weaver draws on his years as a "worker poet" to find the nightmarish urgencies in lives of quiet desperation: "shears cutting shiny tin into thin plates/ fast enough to cut the bone away so cleanly// a man has to remember to scream." Weaver's practice in taijiquan (tai chi), which references eight central energies in a circular arrangement of the universe, becomes an apt metaphor for the wheels of production and the repetition of workers' nights and days; the heart of the collection is with in-between moments, in break rooms where self-declared white hillbillies can commiserate with African-American workers, where diverse realms of experience mingle, "ringing out truth's raw gospel." At times Weaver is unabashedly sentimental, and his empathy is a narrative strength as he investigates the life of a weary hardware store owner, a mother pushing her son's wheelchair like a carriage, and the two old men who can love one another "in a small town where/ their oddness is safe." Craftsmanlike in the best sense, mimetic of the textures and processes of assemblage, Weaver's language is at its most transcendent in fusions of the technical and the numinous: "Geometry makes the soul of machines, / a hypotenuse connecting the dark corners/ where wheels seethe with envy of wings." 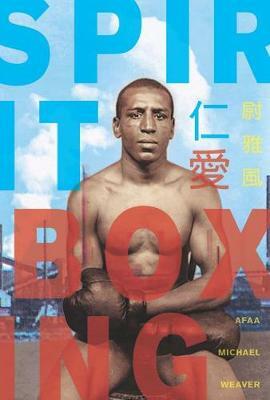 "Afaa Michael Weaver reaffirms the value and necessity of a worker's poetics in his latest collection, Spirit Boxing. Here, work is not celebrated for its own sake or merely derided as drudgery, but is considered as link between generations and a primary source of hardship, solidarity, pain, pride, and joy." "Weaver finds a place in the legacy of Whitman and the mid-nineteenth century, when in the evolution of American poetry the glory of vernacular speech first became fused in verse with an inspired sense of the American self, sensuous and yet transcendent. His vision is local and focused, and as befits a poet of genuine depth and seriousness of purpose, it is as wide as the horizon itself." "Over the years, Weaver has listened to a chorus of other voices, the inflections of the past, as they have come together to shape and enlarge his own distinctive, musical voice. He has carved a unique space for himself in contemporary American poetry."